My dear old Harry (Gothic) had to go to God yesterday, at the age of 27 years. He deteriorated very suddenly in his last two days and he is buried under the trees in the back paddock. 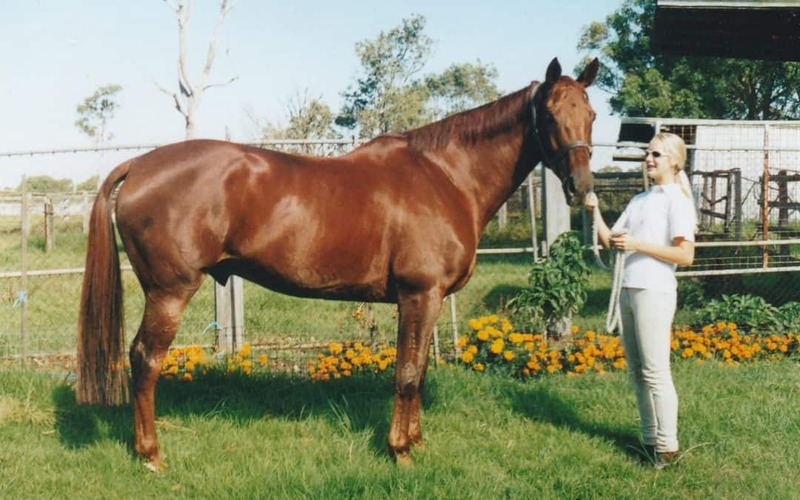 I had him for 21 years – here he is pictured in his prime at “Woodhurst”, Largs, via Maitland, NSW, held by Kate Ramm. He was a 17 hand chestnut Thoroughbred who raced and evented before I got him. He was a powerhouse of a horse with talent to burn but his racing memories meant he never reached his full potential, despite my best efforts. Our main claim to fame was achieving the highest score I have ever had in a dressage test, 75% in an official novice at Alexander Park. I can still remember that test so it is something to aspire to, just one of those days when everything went right! 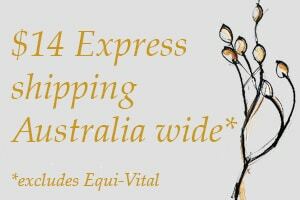 Harry fulfilled many roles in his long life with me, everything from being a companion to young horses, to teaching a keen young man to ride and being a tester for various herbal formulas, which he always enjoyed. He was the catalyst for my hoof product for seedy toe Harry’s Lemon Grass Hoof Oil, which really does get rid of this affliction if applied little and often along with regular, correct trimming. He was never an easy horse to ride, being a typical chestnut Thoroughbred, who also liked to go high headed. This was eventually remedied with careful lunging in a chambon, and the approach of hand without leg and leg without hand, no whip, no spurs, along with Leith Ryan’s Hippus Bit which is worn without any noseband. It always amused me to see Harry doing circle work around Fabio just before feed time every day, always in a perfect frame, stretched over the top line with the poll slightly lower than the wither and the gullet open. So when he stopped doing that I knew there was something wrong. The great thing was he never ever got arthritis which many older horses succumb to, so I can only put that down to his being on his own VF Natural Diet for 21 years. As he never had any special treatment against it apart from all the goodies in the diet which prevent arthritis, like cold pressed flax flax oil, rosehips, French White millet, black sunflower seeds and apple cider vinegar. Our horses are all great teachers, and I did learn a lot from Harry, even though I was more than likely a bit too slow on the uptake! They do know more than we do – really. I will always miss him.